keyhole or keyholing: Refers to the shape of the hole left in a paper target by a bullet fired down a gun barrel which has a diameter larger than the bullet or who fails to properly stabilize the bullet. A bullet fired in this manner tends to wobble or tumble as it moves through the air and leaves a "keyhole" shaped hole in a paper target instead of a round one. 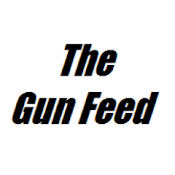 It appears that the PMR-30's 1:16 twist isn't sufficient enough to stabilize the .22MAG bullet. They have suspended production until they find a twist rate that works. Kel-Tec is currently testing a 1:12 and a 1:9 twist. 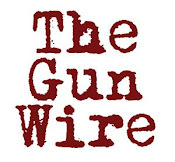 Check out GunsForSale for more details. As time has progressed, so has the PMR-30. Since the start of the year the PMR-30 has been shipping in full quantities to all of our distributors on a rotating basis (to make it fair for all distributors). Recently we have been made aware of a potential issue that we feel our customers should definitely be made aware of. We are in the middle of a re-design to our barrel due to key-holing concerns. For those unfamiliar with key-holing, basically it is when the bullet tumbles end over end rather than travelling stable with a solid spiral. It seems as though the 1:16 twist ratio of our barrels isn’t quite preventing these issues from occurring. We are currently testing new twist ratios for the PMR-30 so that these issues no longer occur (1:9 and 1:12). There has also been a cosmetic change to the barrel: we have removed the fluting on the barrel. The initial fluted design was for weight reduction, however it was time-consuming to produce. We have created a new design that matches the weight and decreases production time significantly. It will look like a more traditional pistol. 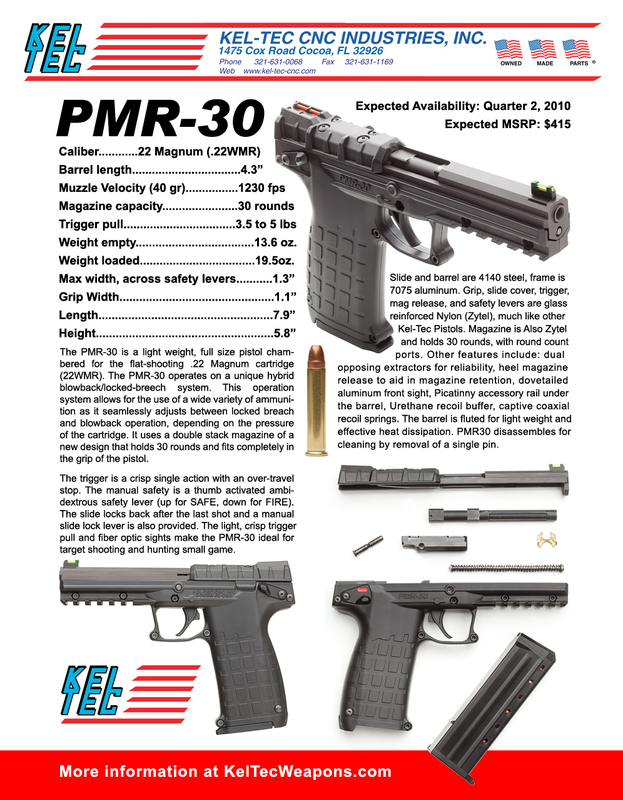 IMPORTANT: For customers who DO own a PMR-30 and are experiencing key-holing, you may send your barrel in to be replaced by the newly redesigned versions once they are available. When they are available, a status update will be made so that our customers know that they can go ahead and send their barrel in for replacement. Shipping costs will be reimbursed, of course. Once the new design is tested and implemented, we will post all necessary information for sending back your defective barrel for replacement. 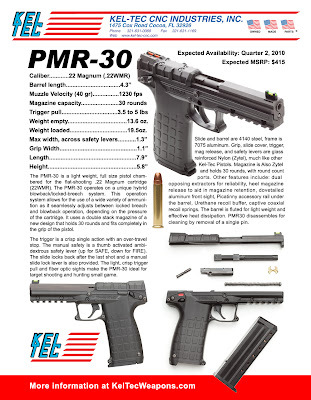 As of today: 5/10/2011, we are halting shipments on the PMR-30 to reduce the number of potential key-holing pistols that go out. We estimate a 2-week period until shipments are resumed. We sincerely apologize to everyone who is affected by this. We hope that our customers understand that we are trying hard to make sure that the best possible product goes out.